The Rollei company was founded in 1920 in Brunswick, Germany, by Paul Franke and Reinhold Heidecke. They are the makers of the much appreciated Rolleiflex cameras and their less expensive siblings, Rolleicord. These lines of cameras were medium format TLRs, which were designed in the late 1920s. The first Rolleiflex camera was introduced in 1929 and the Rolleicord came in a few years later, in 1933. The TLR (twin lens reflex: two lenses that have the same focal length: one lens connected to the viewfinder is used for focusing, the second lens is used for capturing the image) became almost synonymous with Rollei cameras during the 1950s, although there were other players on the market, like Yashica and Mamiya. 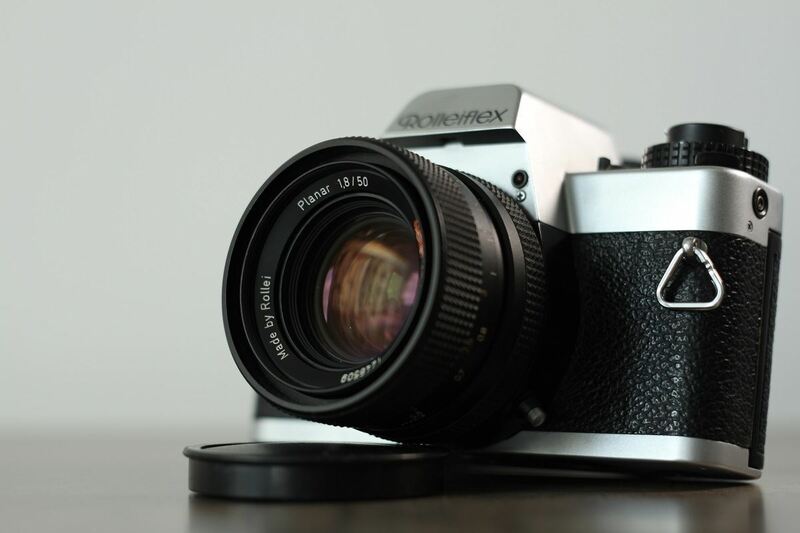 Traditionally, Rollei worked with Carl Zeiss and Schneider Kreuznach which provided them with quality lenses, such as the Tessar, the Planar or the Xenar. In the 1970s, Rollei designed cameras for the 35mm film format SLRs, and thus the Rolleiflex SL 35 appeared. The company also bought the Voigtländer brand. It should be noted that at this point, Rollei had begun manufacturing in Singapore. The Rollei cameras built in Asia have a mix of Voigtländer, Schneider and Zeiss lenses. The company also built their own versions of the Zeiss lenses, such as the Rollei Planar, using its own coating and mount: HFT (High Fidelity Transfer) and the Quick Bayonet Mount (QBM). All in all, Rollei products have a very good reputation, both optically and mechanically. The prices vary somewhat, but Rollei don't usually sell for coins. Some TLR models are expensive, being both reliable and beautifully crafted. Later models built in Singapore are cheaper than those built in Germany, although it seems that the two versions are equally skilled. Rollei still produces some digital cameras and similar equipment, but the company has been purchased and sold by Samsung Techwin, then bought by a Danish investment group that split Rollei into two companies. In 2009, the company declared its insolvency. Rolleiflex is currently operated by DHW Fototechnik. The Rollei Planar HFT 50mm f1.8 is a fast standard lens made by Rollei primarily for the SL35 film cameras. The lens is based on the Carl Zeiss Planar and in fact some of the earlier versions were sold as Carl Zeiss. Production started in Germany and continued in Singapore. When Rollei bought Voigtlander, the Planar 50mm f1.8 was rebadged and appeared as the Voigtlander Color Ultron 50mm 1.8. All versions have multi coating layers; HFT stands for High Fidelity Transfer, a fancy name for Rollei's multi coating solution. The 135mm Carl Zeiss Tele-Tessar f4 is a telephoto lens made by Carl Zeiss for the Rollei Quick Bayonet Mount system. In terms of crafting and overall quality feel, the lens is very different from the later Rollei Planar. It displays an elegant design, with a very large grip and smooth focusing ring. Optics are also very solid and the lens is sharp even at its maximum aperture. The Tele-Tessar pictured here is made in West Germany and we are unaware of other places where this lens might have been produced. 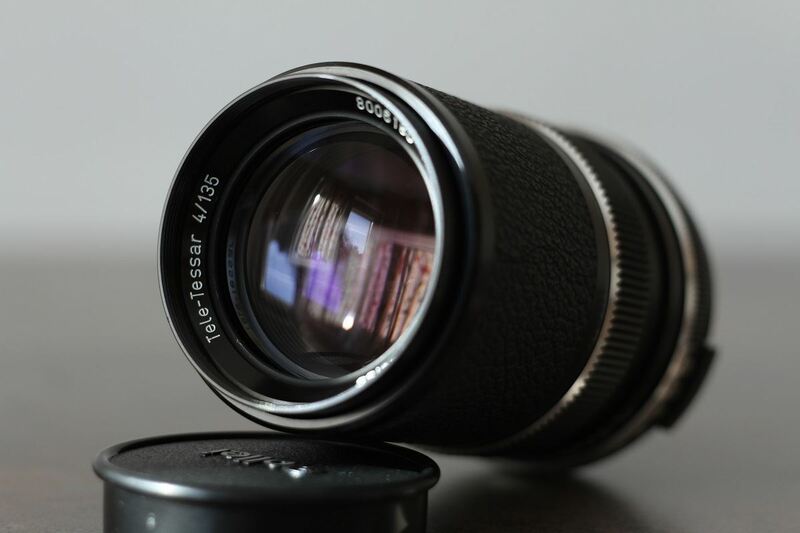 The 135mm Tele-Tessar f4 has a minimum focusing distance of 1.6m, it weighs 364g. Filter diameter: 49mm.